Would you like to experience Slovenia, get to know its most beautiful, hidden and unexplored corners, and have fun along the way? 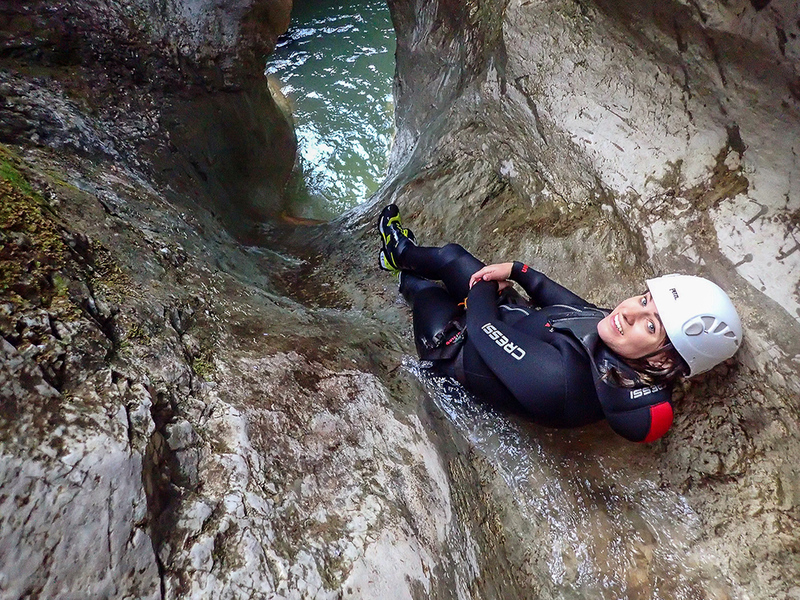 Then canyoning in Slovenia is the activity that you need to experience. When was the last time you bought something for yourself? With our guarantee of your satisfaction, it is now time to indulge yourself! 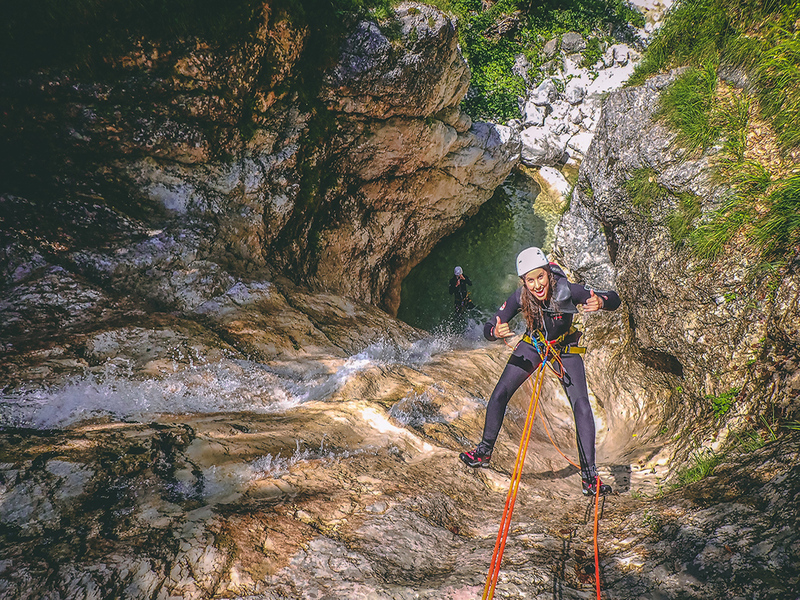 If you visit Slovenia, canyoning is certainly one of the most interesting and entertaining attractionsthat every adventurer needs to experience. We offer four different options, from fun and easy choices for those who want to experience canyoning with their families (also suitable for children), to extreme canyoning for adrenaline junkies. 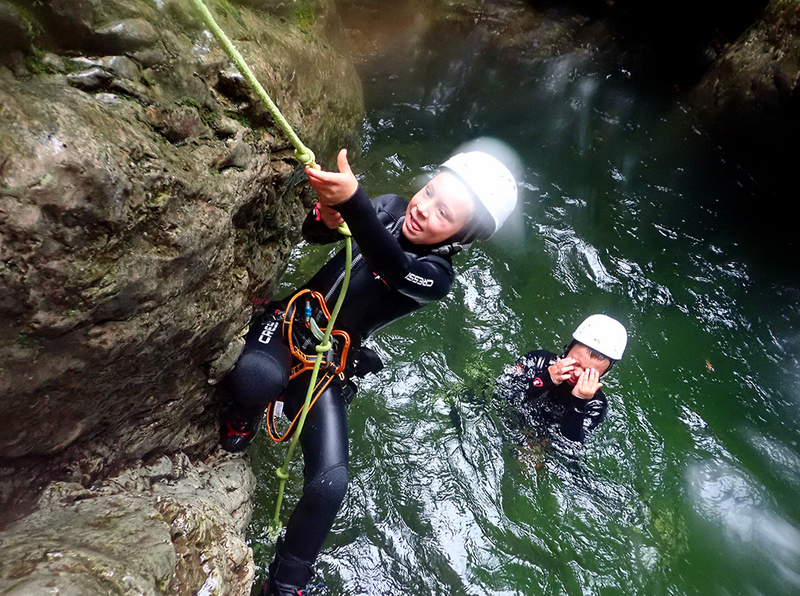 Family canyoning: Family canyoning Bled is fun for children, young and all those who are afraid of high jumps. The gorge also offers a zip-line descent and is full of beautiful natural slides. Easy canyon for famillies, 20 min drive from Bled in direction of Bohinj. 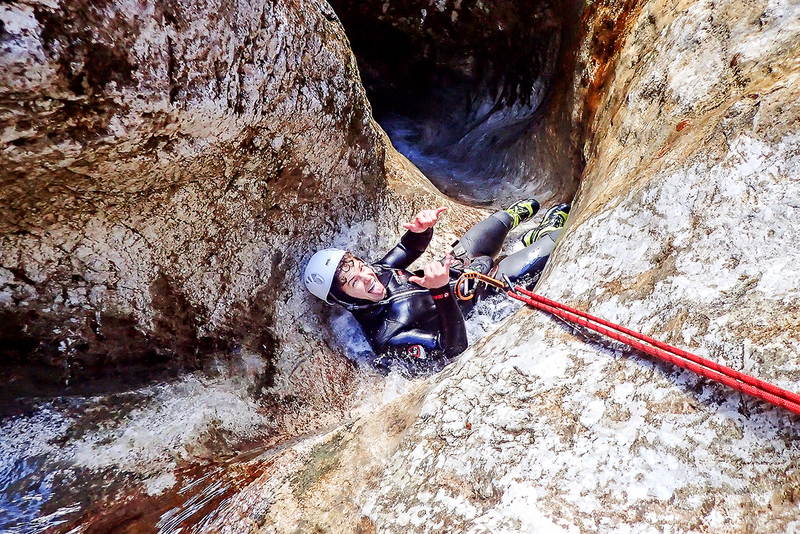 Amazing canyoning: Amazing canyoning Bled is our most popular canyoning adventure that is suitable for all those who want to experience a pinch more of adrenaline. There is more than one high jump, the highest being 10 m. However don’t be afraid, if you don’t want to jump, our guides will lower you down with a rope. Extreme canyoning: If you like extreme experiences, you should try extreme canyoning Soča. Therefore reaching the starting point takes about an hour’s drive. The gorge offers high jumps and is suitable for athletic people who dare more. For experinced and for those who wants to be in longer canyon and for sport type of people, medium difficulty, rope descents (highest waterfall 45m), nice water slides (4-5m), few jumps (4-5m). Family canyoning: 20 min drive from Bled in direction to Bohinj. In the canyon you are 1,5-2 hours, whole trip lasts 3-4 hours. Amazing canyoning: 20 min drive from Bled in direction to Bohinj, in the canyon you are 1,5-2 hours, whole trip from Bled and back lasts 3-4 hours. Extreme canyoning: drive from Bled 1,5 h to Log pod Mangart, in the canyon you are 3-4 hours, whole trip from Bled and back is 7-8 hours. Swimsuit, towel, extra clothes, other equipment suggested by guide. Included in price: Canyoning shoes, Harness, Helmet, Transport. In case of really bad weather or the canyon is full of water the trip is changed or cancelled.